Downtango starts out with the encounter between two women who dance a tango. All of a sudden, this tango is transformed. The rhythm and concept of this transformation become the main focus of this piece. It involves surrendering the bodies to the rhythmic action, without trying to attribute any kind of personal identity or intention, to the point of dissolution, ultimately achieving oneness and connection between the two bodies and the music. Downtango seeks, through precision, creative freedom and transformation, to make the action itself the leading player and the main imager. 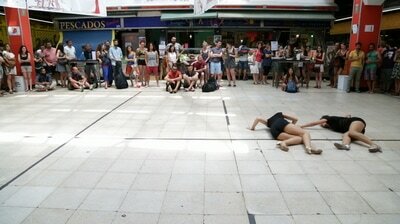 With the collaboration of Espacio en Blanco, Centro de Danza Canal, Pep, Coreógrafos en Comunidad and Centro Cultural Conde Duque. Selected for the Acieloabierto Circuit 2017 ﻿﻿. 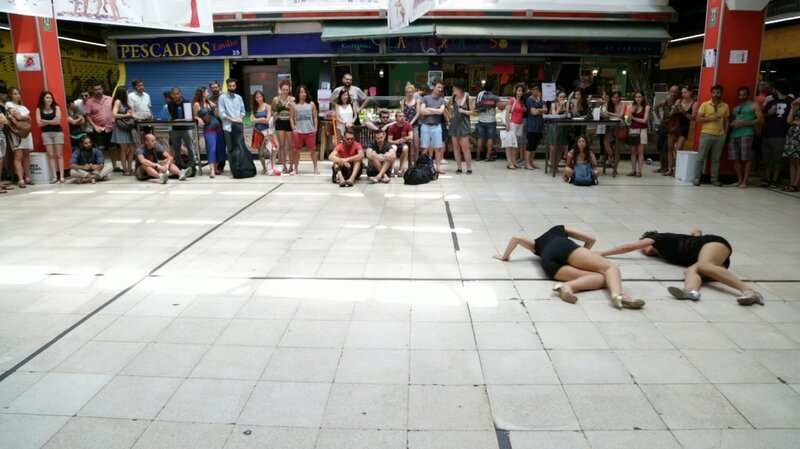 Prize for best contemporary dance choreography (shared with Ugne Dievaityte and Mario Bermúdez) at the IV Certamen Coreográfico del Distrito de Tetuán. clip downtango from Lucía Marote on Vimeo.